← How low will temperature go? This year’s prediction by the furry animal is for an early spring. As for a more scientific approach, temperatures over the next six weeks look about average. The forecast made on Groundhog Day is an example of predicting the weather based on folklore. 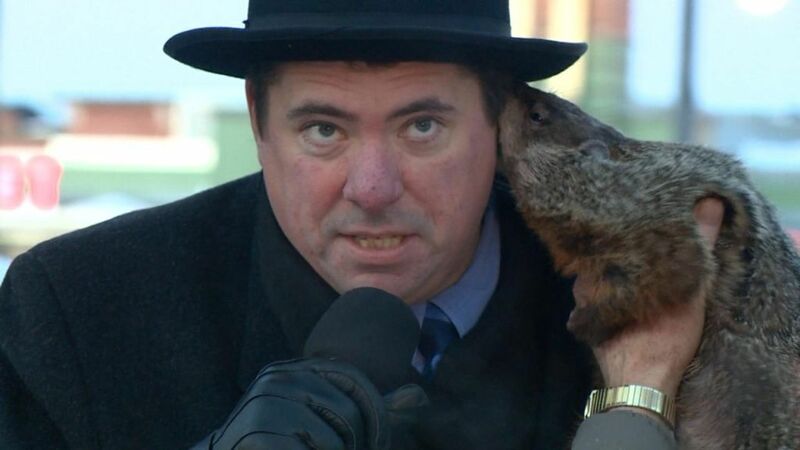 If the groundhog comes out of its hole and sees its shadow, we are in store for 40 more days of winter. Long before computers, the Weather Channel and the internet, humans needed weather forecasts. Farmers and sailors particularly needed to know if storms were approaching. Over time, various folklore forecasts, often in the form of short rhymes, were devised and passed down through the generations. Although memorable, the folklore forecasts are of uneven quality — some good, others bad. If the day is bright and clear, the groundhog “sees” his shadow and we have more winter. Of course, after Feb. 2, there are only 47 days left of astronomical winter — which ends on or about March 21, so the forecast accuracy should be more than luck. Of course, the weather conditions on Feb. 2 at single locations like Sun Prairie or Punxsutawney, Pennsylvania, tell us very little about the weather for the rest of the winter season. Right or wrong, they are fun community celebrations. Jimmy the Groundhog famously bites the ear of then-Sun Prairie Mayor Jon Freund in 2015!